Earth may be the only planet in the universe that has water. At least the he kind of water we have - oceans, rivers, streams, lakes, an atmosphere of water vapor condensing into clouds, and ice covering massive areas of our planet. Ours is truly the water planet. We have all viewed it from space via famous "blue marble" images from spacecraft. 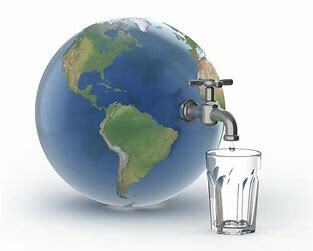 The problem is that, before our eyes we are in the process of polluting our planet's water supplies and we may be in the process of discovering that water pollution is forever. Over 70 percent of the Earth's surface is covered by water. Most of it, about 96%, is in our planet's oceans. The rest is lakes and rivers, icecaps and glaciers. Water also exists in the air as water vapor, is constantly shape-shifting and is in the ground as soil moisture and in aquifers. Without water there would be virtually no life on earth. Water is an essential and the largest single component, around 60% in adults, of our bodies. It is the most vital as well. As we are all taught, humans can live for weeks without food but a few days without water and we are gone. All organisms, both aquatic and terrestrial depend on the availability of water. Rivers and streams created natural watersheds and littoral ecosystems that provided our species with locations for humans to band together and build towns and cities and, eventually, civilizations. The world's oceans have served as pantry, highways, and sources of trade and conquest. Without their role as regulator of our planet's climate and weather it is doubtful that we would have ever been able to survive. Wars over water have been fought since the beginning of human history. They pit culture against culture in what is often a fight to the death. Availability of water was also a major determinant of how and where humans lived, created social and family relationships and invented systems to harvest and distribute water. Although ours is truly a garden of abundance, with enough water for all, it is important to remember that, despite its exalted position in our lives, we need to be careful with our water. It's like land - they're not making any more of it. Abundance is one thing, ability to overcome unwise uses is another. Even more important, however, is the fact that we are now threatening the existence of life on our planet by polluting almost all of our water sources. For most of human history we have treated our ocean like an open sewer, dumping toxins and heat in what may be the only water available in our solar system. At the same time we are over-pumping our aquifers allowing them to become polluted and destroying their ability to supply us with clean water. Politics play a major role in dealing with our water pollution woes. 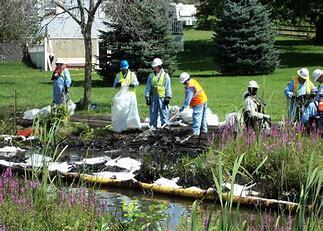 The Trump administration is now trying to repeal Clean Water Act protections against dumping coal ash, a toxic pollutant, in rivers and streams. To find out more about this and other threats to our water supplies we can visit the Sierra Club website. Over 40% of the US population, some130 million people live in counties directly on the shoreline. These shorelines are among the most threatened ecosystems on the planet. It is time for us all to the fight for clean water here in the US and around the world. Like most issues of this magnitude deciding to be part of the solution can be daunting. The scale and scope of water pollution is so large and widespread that it is difficult to know what a single person can do to help. The reality is that this is an issue which offers all of us an opportunity to be a part of the solution. We all depend on clean water. However, like so many environmemtal issues in our country, and others, our political and industrial leadership has proven, over and over again, that they are not up to creaitng real solutions. This means that we must, individually and collectively, act on our own behalf and on behalf of all living creatures. The good news is that we all have a lot of help from experts, advocates and environmental organizations. One such international organization, Conserve Energy Future, prepared an easy to understand, and follow, guide to individual and collective actions we can take to deal with our water woes. 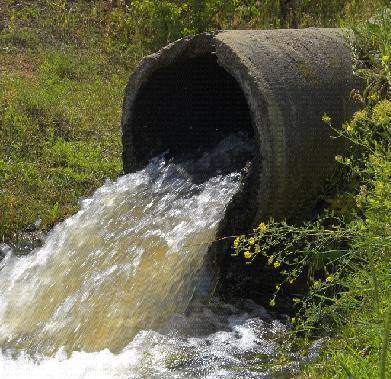 It is entitled "25 Simple and Easy Ways to Reduce Water Pollution Now." Their core belief is that the solutions to these problems lie in the strategy of reducing existing pollution while preventing new pollution through a series of individual actions. Everything from reducing use of plastic to replacing chemical detergents and cleaners with environmentally versions. Their list if comprehensive, easy to understand and is designed to form the basis of individual action plans as well as group initiatives. There and many other organizations and information providers working water pollutiion campaigns and research. For a comprehensive list, from a Google search, click here. 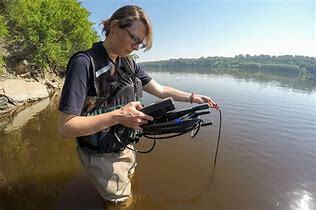 To one degree or another it is difficult not to point to the inept and mis-directed efforts of our current national administration to deal water pollution or any of our major environmental issues. From pulling out of the Paris Accord to supporting EPA Administrator Pruett, Presidnt Trump and his allies have demonstrated an active antipathy to the environmental agenda. We all need to remember that and to vote accordingly.